This natural processed coffee gives off a sweet, strawberry fragrance and aroma. Its silky body, coupled with the taste of pearl sugar and peach, leads to an elegant and delicate cup. The sweetness of the coffee is accompanied by notes of cherry preserves and a crisp finish. 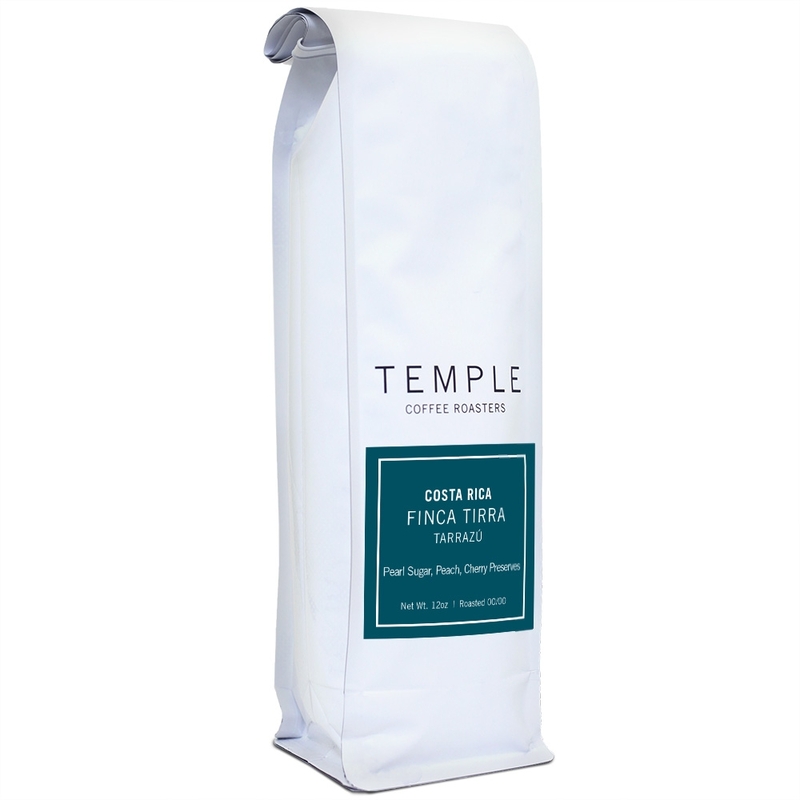 Finca Tirra is a farm that focuses on the production of small specialty lots originally created by the managing body of Coope Tarrazu in 2013. The farm currently focuses on producing high-quality Honey and Natural process coffee. Coope Tarrazu is a cooperative of over 3,000 coffee producers and 250 mill workers from the Tarrazu region that provides its members with milling, exporting, and marketing services.